Suppose you hold on to your Video Concept stock and don't sell it at the end of the year. Should you still consider the capital gain as part of your return? Isn't this only a "paper" gain and not really a cash flow if you don't sell the stock? The answer to the first question is a strong yes, and the answer to the second is an equally strong no. 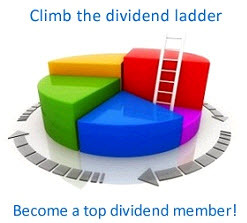 The capital gain is every bit as much a part of your return as the dividend, and you should certainly count it as part of your return. That you actually decided to keep the stock and not sell (you don't "realize" the gain) is irrelevant because you could have converted it to cash if you had wanted to. Whether you choose to do so or not is up to you. After all, if you insisted on converting your gain to cash, you could always sell the stock at year-end and immediately reinvest by buying the stock back. There is no net difference between doing this and just not selling (assuming, of course, that there are no tax consequences from selling the stock). Again, the point is that whether you actually cash out and buy sodas (or whatever) or reinvest by not selling doesn't affect the return you earn.